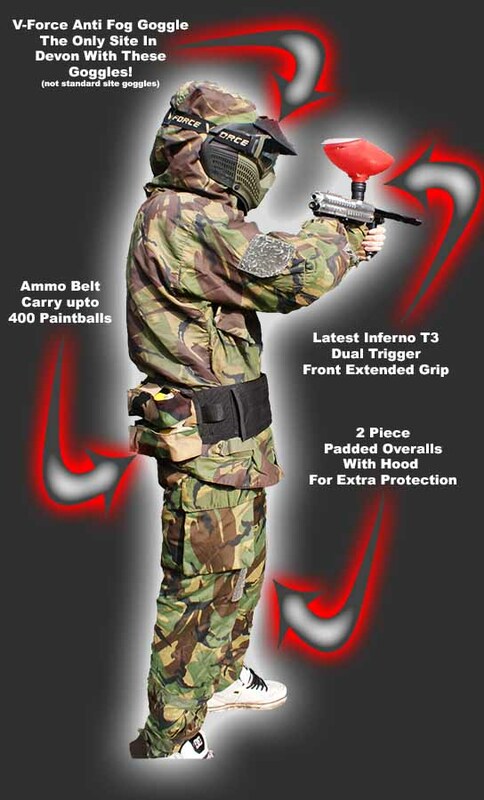 Here at our Exter venue we offer paintball and Lasertag. You can choose from a variety of packages for fun days out, birthday parties, stag & hen groups, corporate team building and school and Scout activity days. We use the latest semi-automatic paintball markers in your battles so you can be accurate and deadly with your firepower. Fight your way through the thick woodland to take out the enemy hidden as paintball guerrillas in our Amazon scenario. Prefer a classic game. Attack and defend our huge castle structure as your opponents run for cover in our Castle game zone.